Democracy For Monroe County’s Board of Directors is pleased to announce that Eric Schmitz, the Democratic Candidate for Monroe County Recorder, has been selected as the 2014 Sophia Travis Grassroots Champion. Eric was inspired to become politically active by Howard Dean and led the Dean For America Campaign here in Monroe County when the former Vermont governor ran for President in 2003-2004 When Dean’s campaign came to a close in March of 2004 and Dean For America changed to Democracy For America, Eric was a founding member of Democracy For Monroe County, DFA’s local affiliate. Since then Eric has worked hard for DFMC, serving as Chairman, Treasurer, and internet host. While Chairman of DFMC, Eric led the host team that brought DFA’s nationally-known Campaign Academy to Bloomington. Eric has also worked with the Monroe County Democratic Party in both official and unofficial capacities. For a number of election cycles he coordinated the operations that got candidates’ yard signs out to the polls on Election Day, a difficult and somewhat thankless job. He also served as Deputy Chair in charge of the Party’s technology. 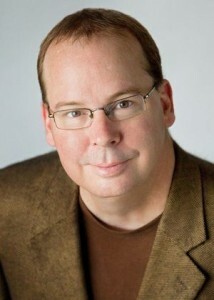 For more information about Eric visit his campaign website at http://ericschmitz.com/. What Is The Sophia Travis Grassroots Champion Award? The late and much-loved Sophia Travis was a stellar example of progressive grassroots activism. She was also a strong supporter of Democracy For Monroe County and our mission. In 2012, the Board of Directors decided to elevate one candidate who also exemplifies that trait, much as Democracy For America elevates certain candidates to the Dean Dozen; and they felt natural to name that award after Sophia with her husband Greg’s permission. Democracy for Monroe County is proud to announce our list of endorsed candidates for wholesale mlb jerseys the 2014 General Election! Contribute to Daymon’s campaign via ActBlue here. Contribute to Jim’s campaign via ActBlue here. Contribute to Jeff’s campaign via ActBlue here. Contribute to Eric’s campaign via ActBlue here. Contribute to Brad’s campaign via ActBlue here. Contribute to Shelli’s campaign via ActBlue here. Contribute to Rick’s campaign via ActBlue here. Contribute to Val’s campaign via ActBlue here. Contribute to Al’s campaign via ActBlue here. Contribute to Michelle’s campaign via ActBlue here. Contribute to Vicky’s campaign Golf via ActBlue here. Contribute to Donn’s campaign via ActBlue here. Contribute to Jack’s campaign via ActBlue wholesale jerseys here. Candidates listed in bold received enough votes in our endorsements process to qualify for our special Sophia Travis post Grassroots Champion Endorsement. Our membership will vote on who will receive this special award at DE our next Link-Up, the on October 2, 2014.